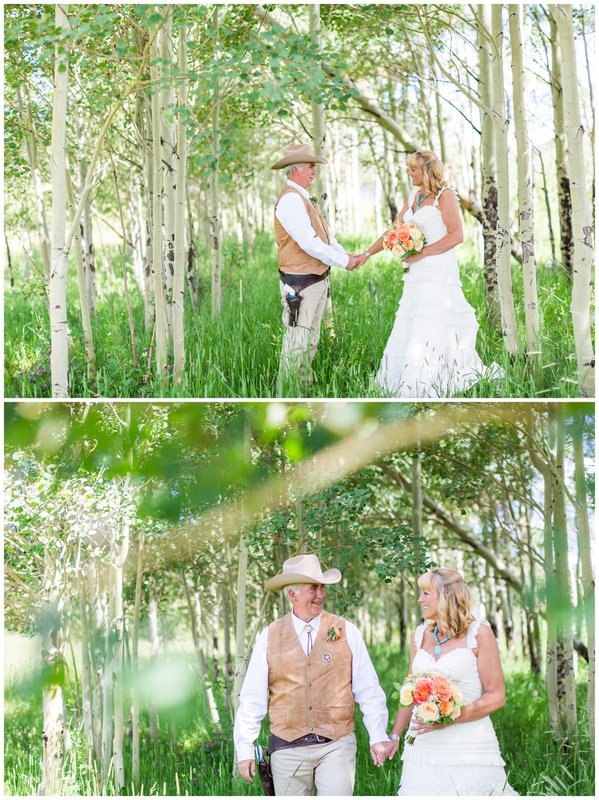 This beautiful wedding day was full of Colorado Rocky Mountain views, and influenced by Southern Texas Charm. 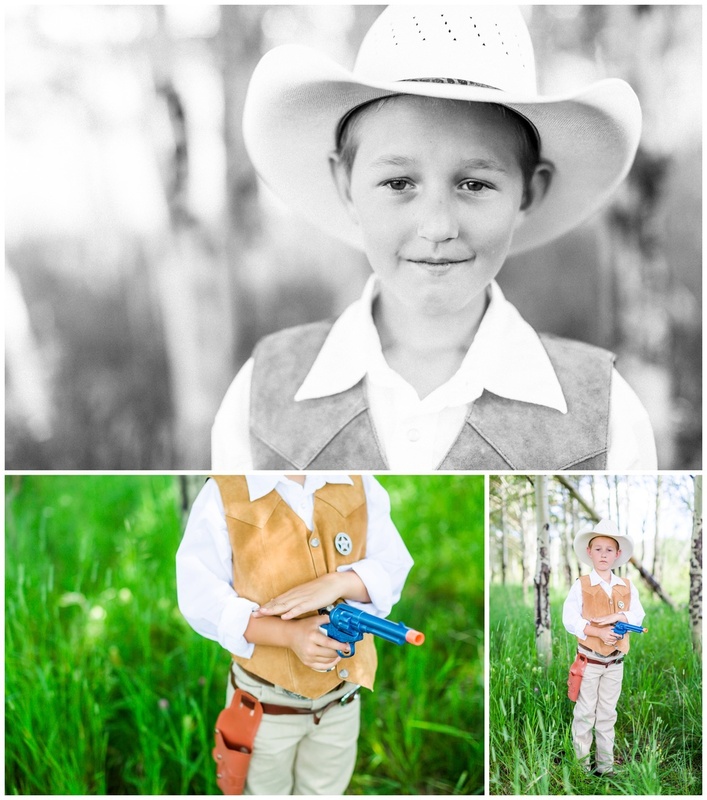 Brenda & Kevin's wedding was planned from afar and went off with out a hitch with the help of an amazing team of vendors at Strawberry Creek Ranch in Granby, Colorado. They traveled all the way from Texas the week before their wedding to hike with their adorable great danes Diesel & Sugar in an Airstream trailer. 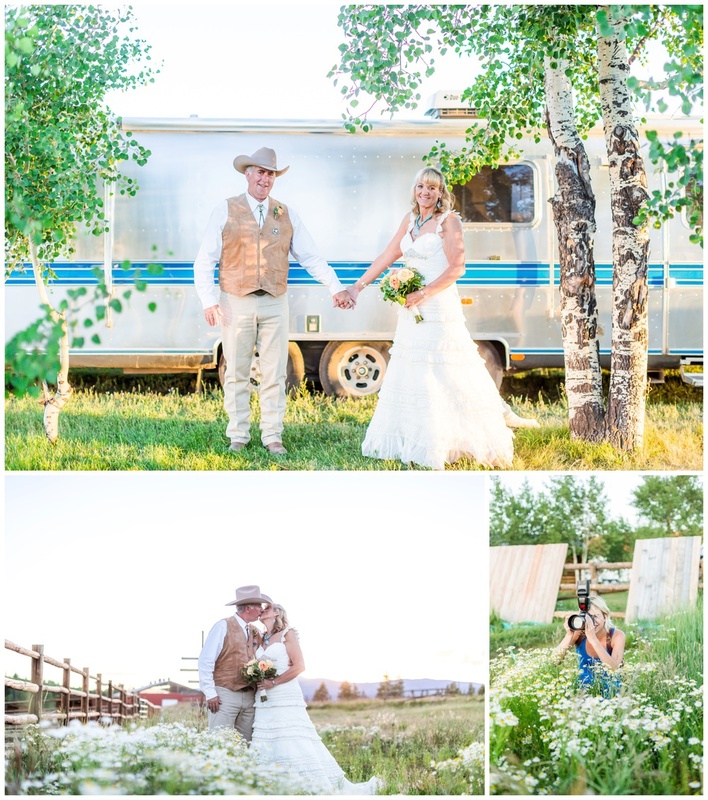 The Airstream Trailer and Diesel & Sugar are featured in many of Brenda & Kevin's wedding pictures since they are of important things in their lives! I just loved the flower collar that Southern Charm Weddings + Events made. If you are early in your wedding planning process, and have not booked your venue yet I HIGHLY recommend Strawberry Creek Ranch! It is a stunning place to get married, and enjoy company the company of your loved ones.